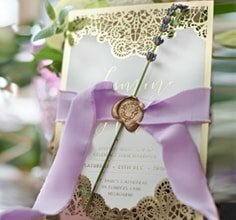 This charming floral engagement invitation is designed to suit both indoor and outdoor celebrations as its timeless style fits in with an array of classic themed soirees. 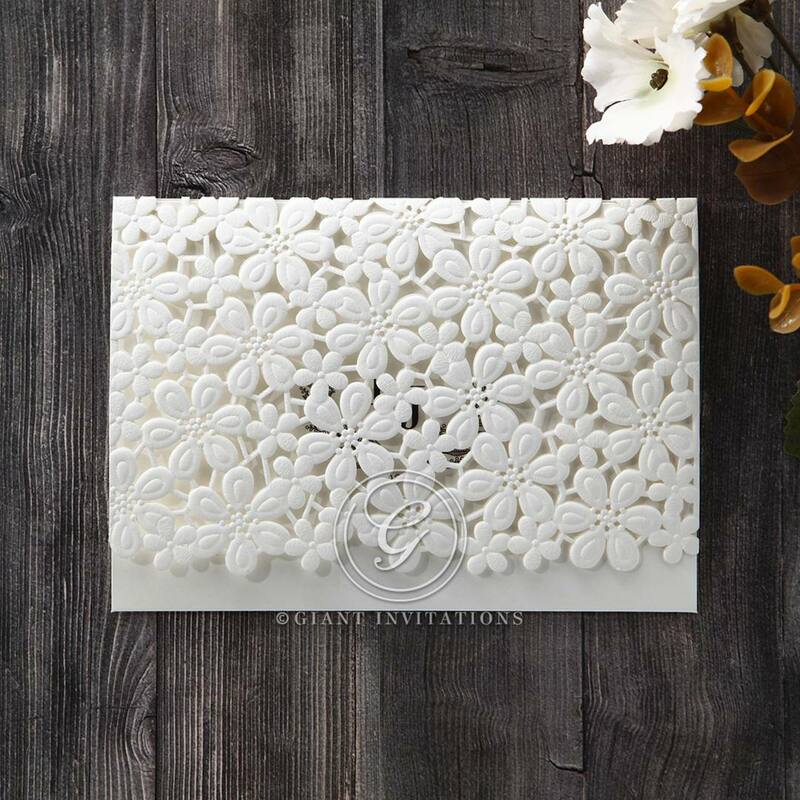 The card cover cluster floral pattern is crafted on a crisp white card stock using the latest laser cutting software and embossing techniques for a more detailed design. Once the lacy cover is lifted, your personalised leafy monogram is revealed. When unfolded once more, your guests are greeted with your engagement details in sophisticated lettering and a romantic verse that you can personalise to mirror your own love story.